This chapel, built of stone with polychrome brick dressings, was erected in 1862 and the foundation stone was laid on Friday 6th June 1862. The chapel was in use until 1952 but closed later in the 1950s. 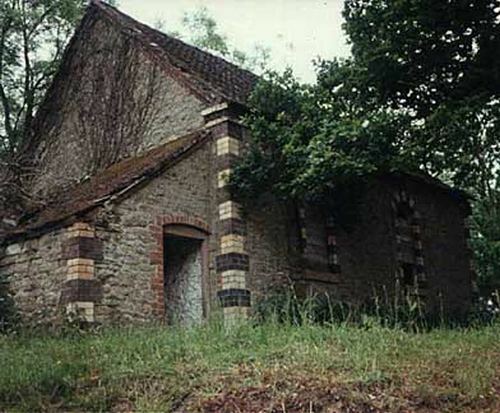 This photograph was taken in 1985, by which time the chapel was derelict. Happily the chapel has been converted to residential use & looked much better in 2005. Click here for a current view.